I'm sorry. I'm sorry. I'm sorry! I swear I have not forgotten about you. After my project was over, I decided to take a bit of a break, but I never intended for it to be quite this long. I've been baking and cooking still, but I just haven't had time to photograph any of it, let alone write about it. Actually, I made this cake last weekend. I was so excited to share it with you, particularly since it was from a new cookbook! When it came time to take the pictures, I discovered my camera would not zoom in or out. In fact, it wouldn't take pictures at all. I was so frustrated that another delicious creation would go unphotographed. Luckily, my friend Charlotte lent me her camera, and I was able to get a few (not particularly gorgeous) shots. I'm going to try something new here and give you the recipe, so let me know what you think. It comes from one of my most favorite new cookbooks,Apples for Jam. Tessa Kiros arranges this book by color, which I love. Everything that I have made from it so far has been out of this world, so I figured that this little cake would be too. Mmmmmmmm. I was right. It was subtle and soft, calling you to it in the softest of ways. 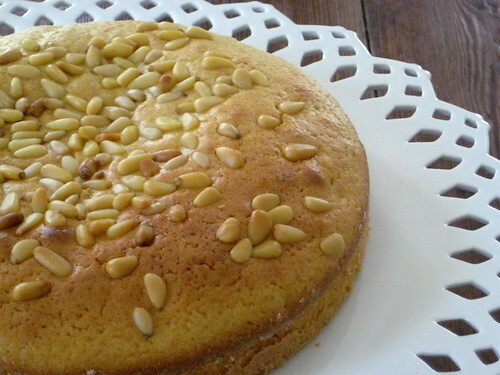 The orange, the olive oil, and the pine nuts worked beautifully in tandem, creating a lovely, not-too-sweet cake that could even pass for breakfast. Preheat the oven to 350 degrees. 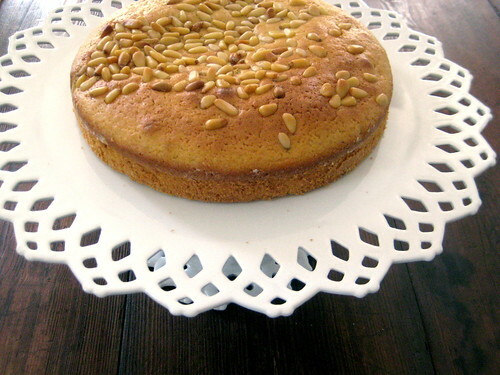 Use olive oil to grease two 8 1/2-inch cake pans and dust them lightly with flour. Whip the egg whites until they are foamy and stiff. Whip the egg yolks with the vanilla until they become thick. Whisk the white and brown sugars into the egg yolks, and add the olive oil in three additions, allowing everything to combine between each addition. Whisk together the flour, baking powder, and the orange rind. Add the dry ingredients to the egg yolk mixture. 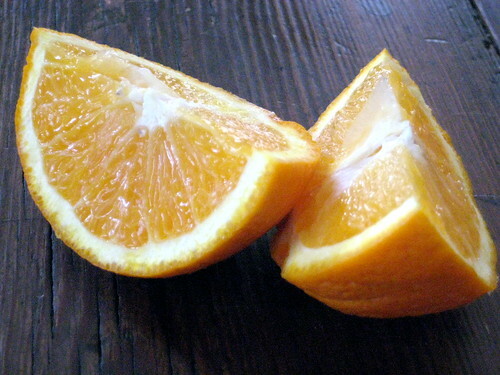 Add the orange juice, and beat until the batter is quite smooth. Fold in the whipped egg whites. 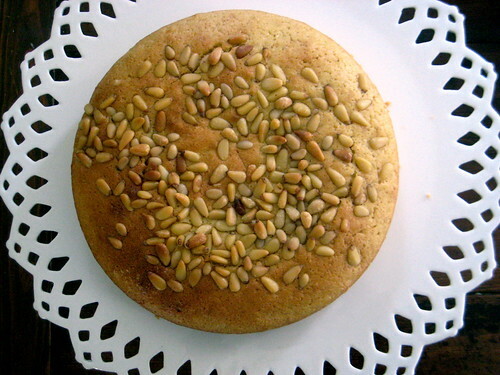 Spread the batter into the pans and sprinkle the pine nuts on top. Bake for 35 minutes. Allow to come to room temperature before serving. I had the pleasure of tasting this cake at Mary's house and it was delicious. I love that you gave the recipe so now I can bake it too! Thanks for sharing such great article to share to all of us and i like that peoples who concern about health becasue health is everything and i am also a health consultant by profession so please take care of your health and body.